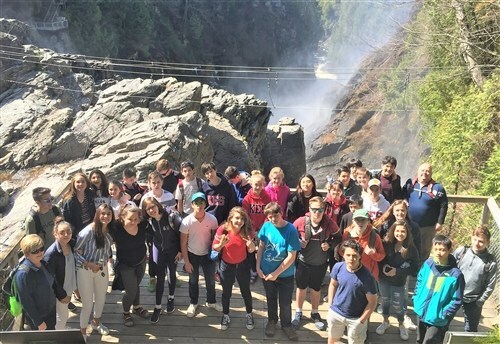 Thirty-four Grade 8 students took learning on the road in May with a five-day trip to Quebec City, and the annual voyage was a tremendous success. 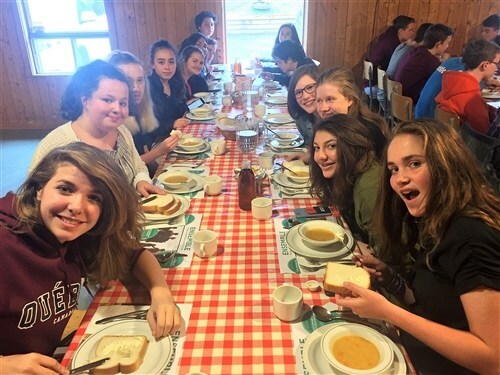 Chaperoned by three Junior School teachers (and veteran travelers) – Monsieur Rochon, Madame Belliveau and Monsieur Hollett – the students took part in a wide variety of activities that were chosen to give them the opportunity to explore and enjoy the culture and history of this amazing city and the surrounding region. A walking tour of Old Québec, a traditional dinner and dancing at an authentic sugar shack, Sainte-Anne-de-Beaupré Basilica, suspension bridges, the Plains of Abraham Battlefields Park, a climbing gym, the Museum of Civilization, a disco cruise on the St. Lawrence River and a visit to the aquarium were just some of the highlights of their trip; further details and pictures can be found on our trip blog. The shared memories and experiences will be cherished for years to come!